Focused on bringing out Carrollton's best. There's room for you in our Financial Family. Your Financial Family seeks to help you build wealth one milestone at a time. Milestone Investment Management in Carrollton offers experienced, highly personalized financial advice that helps clients define goals with confidence, gain clarity on financial matters, and put a long-term plan in place that seeks to help you build wealth one milestone at a time. We believe family comes first, and when you work with Milestone Investment Management that’s exactly what you become: family. Our team of experienced advisors and professional administrative staff offer highly personalized financial services. We focus on your needs, wants and goals so that we can develop a long-term financial plan that’s customized just for you. Our approach is individualized—a la carte, if you will. We help you plan for the life you want, and bring out your personal best through solid financial counsel. Know that there’s a place for you in our financial family at Milestone Investment Management. How would you like things to go? We’re listening. 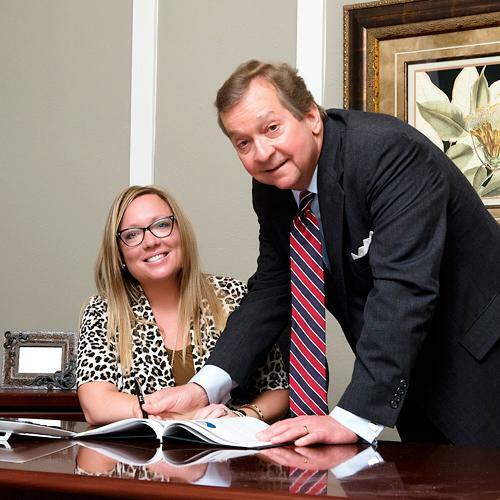 CEO & Founder of Milestone Investment Management, Michael Stone and Director of Operations Jennifer Sauls.